Years of Experience – Trust an experienced electrician to complete your project safely and reliably. Licensed and in business since 1960, Meehan Electrical Services has completed countless residential and commercial jobs of varying sizes. The staff is able to answer all of your questions, troubleshoot electrical issues and handle electric repairs. Our references list many satisfied customers that recommend Meehan Electrical Services as the leading local electrician. 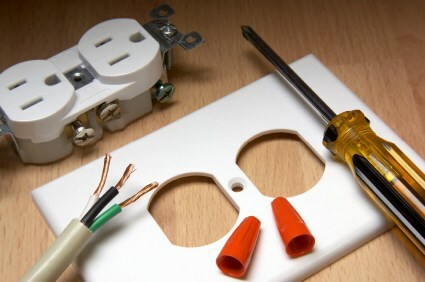 Affordable Rates – A licensed electrician is always worth the cost. Many customers expect to pay a premium for professional electricians, but Meehan Electrical Services offers their skills and service for an affordable rate. Get the quality electrical work your projects needs at a price you can afford by contracting with Meehan Electrical Services. Detailed Work – Meehan Electrical Services electricians have a keen eye, completing each task with care and attention to detail. From the tiniest connections to the longest run of wiring, it’s important to trust your home or business to an attentive licensed electrician. Meehan Electrical Services has a reputation for neat and tidy work, earning the respect of their customers and local electrical authorities. Invest in that level of care to complete your project. Our certified electricians are equipped to handle your residential or commercial electric projects. Call us at (706) 717-4947. Hire the best electrician for your job – a certified, licensed electrician with years of experience, a detailed work ethic and affordable rates. Call Meehan Electrical Services at (706) 717-4947 to get more information and arrange for a free quotation on your electrical project. We love electrifying people's lives!